My wife and I recently went through our annual risk review (a process I would recommend to everyone). We looked through each of our separate retirement accounts to determine if we are comfortable with the level of risk we’re taking (based on both emotional and financial capacity). My wife tends to lean more conservatively in terms of emotional capacity, even when we could manage financially. Instead of arguing though, I have adapted in our marriage, and let her have her way, while increasing risk in my own portfolio to even us out. But this process got me thinking. Why not incorporate all our assets into joint investment planning? For married couples, retirement accounts should not be looked at as standalones. Spouses must decide together when they want to retire and the type of lifestyle they want in retirement. This will help determine how much to allocate and what the asset allocation mix should be, based on risk and return expectations. But the key point is the accounts must be looked at as a whole. If one person is all in stocks from an employer’s stock-offering program, perhaps the other should diversify with a heavy-bond allocation to mitigate overall risk. Such practices can help ensure there are no major surprises when retirement draws near. Next, take a look at your assets. Real estate is typically not included in investment management due to its illiquidity; after all, you need a place to live. But what if the plan is to sell the large house you bought for your family and downsize to a smaller, cheaper place after the kids have moved out? Perhaps the plan is to buy a lake house, rent an apartment, or better yet live on a cruise ship (surprisingly, it’s cheaper than some apartments). That would certainly result in a significant cash inflow. And since home prices tend to be relatively stable in the short term and appreciate in the long term, the result is a fairly conservative long-term investment. Thus, such a strategy may allow you to take on a bit more risk in your other investments. A similar strategy could be employed with other large-ticket items, such as cars and boats, which could be consolidated, downgraded, or sold. Finally, the king of investments. Cash! This is the money left over after paying for your assets and contributing to retirement, including your checking account, savings account, safety reserves, certificates of deposit, money market funds, and of course the cash under your mattress. Ultra-safe, ultra-liquid, and always saves you in a jam! Unfortunately, in low-interest-rate environments, such as the one we’ve seen since the financial crisis, cash is being depreciated by inflation. Yes, you’re losing money by leaving it in your bank. So you may be thinking you should put your cash to work in some kind of investment… well, not so fast. First, you need peace of mind – the financial security and stability that only cash can offer. Second, don’t forget about the diversification and risk reduction benefits that cash can provide. 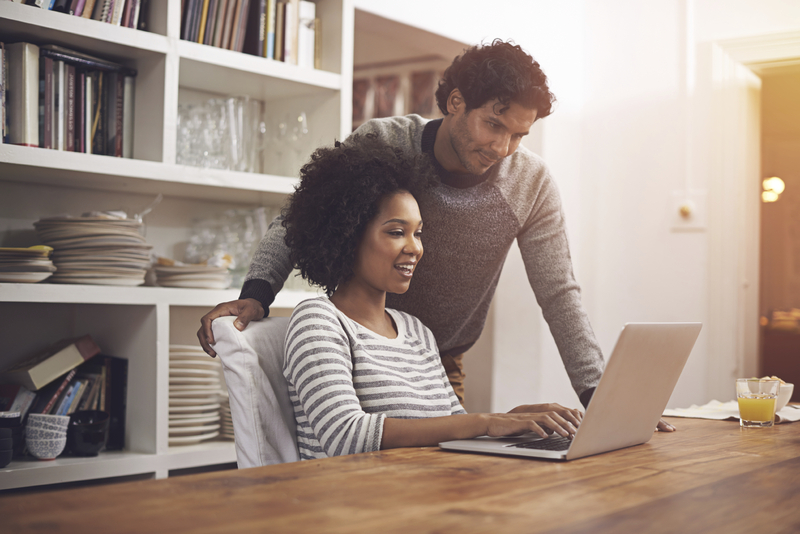 If you feel more comfortable with large cash balances, simply boost the risk exposure in your other investments to maintain a risk target that both you and your spouse are comfortable with. Ultimately, keeping an eye on your risk tolerance, aggregate assets, and retirement planning should result in a happier wife life. The views expressed herein are exclusively those of CLS Investments, LLC, and are not meant as investment advice and are subject to change. This information is prepared for general information only. It does not have regard to the specific investment objectives, financial situation and the particular needs of any specific person who may receive this report. You should seek financial advice regarding the appropriateness of investing in any security or investment strategy discussed or recommended in this report and should understand that statements regarding future prospects may not be realized. You should note that security values may fluctuate and that each security’s price or value may rise or fall. Accordingly, investors may receive back less than originally invested. Past performance is not a guide to future performance. Investing in any security involves certain systematic risks including, but not limited to, market risk, interest-rate risk, inflation risk, and event risk. These risks are in addition to any unsystematic risks associated with particular investment styles or strategies.